f/8.0, 1/640, ISO 3200, 560mm. 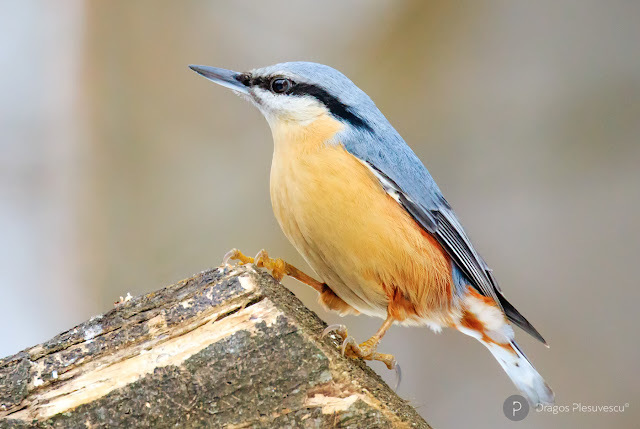 The Eurasian nuthatch or wood nuthatch (Sitta europaea) is a small passerine bird found throughout temperate Asia and in Europe, where its name is the nuthatch. 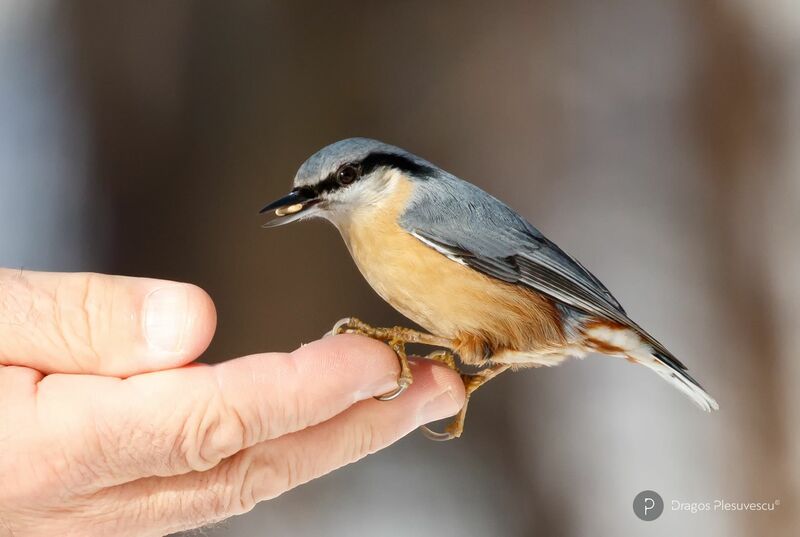 Like other nuthatches, it is a short-tailed bird with a long bill, blue-grey upperparts and a black eye-stripe. It is a vocal bird with a repeated loud dwip call.